Ozark Orthopaedics welcomes Dr. Mark L. Miedema! We are delighted to have Mark L. Miedema, MD joining the Ozark Orthopaedics team. Dr. Miedema’s expertise is in non-operative spine and orthopedic care, specifically spinal injections, epidural injections, nerve blocks, joint injections, radiofrequency ablation, spinal cord stimulation, regenerative orthopedic medicine (i.e. stem cell injections) and electrodiagnostics (EMG/NCV). Dr. Miedema’s philosophy is patient-centered, focusing on education and using a multidisciplinary approach to relieve pain and restore function. 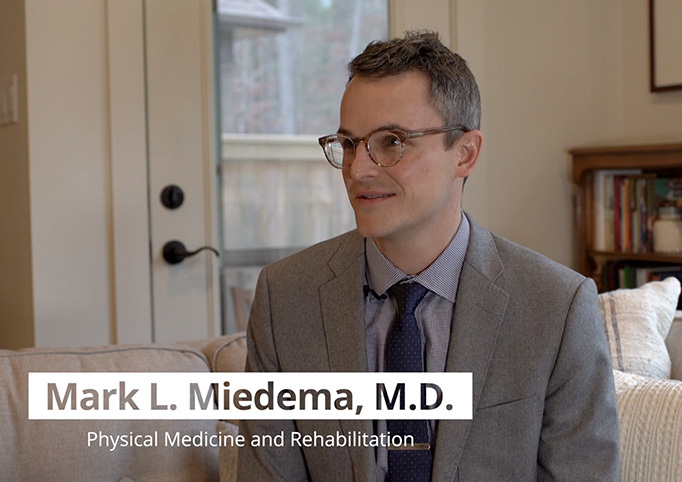 Get to know more about Dr. Miedema by visiting his bio and watching the video below. © Ozark Orthopaedics. All Rights Reserved.